Happy Mother's Day to all the fabulous Moms in my life! This year we met some extraordinary women who are not only mothers to their own children but to abandoned and orphaned children. Their optimism, endurance and limitless capacity to love has been an inspiration. 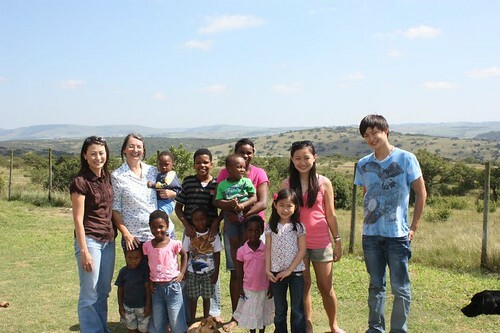 Pictured below is Pearl, is a mother of 10 children- adopted as well as foster children who lives nearby Lily Orphanage in KwaZulu Natal, So Africa. Our gifts make a Difference! We returned to Lily Orphanage witnessing first hand the investments made and the impact of these investments in every operating area. Virtually every section of Lily Orphanage has improved. 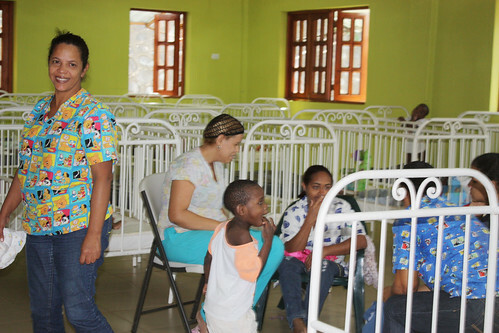 It is especially encouraging to see the direct impact of these investments on the children. We recognized Lily children wearing outfits donated by our friends and family and I was thrilled to see the children’s library filled with books that were donated by many of our friends as well. Some of the kids were noticeably different from when we saw them 6 months ago-their physical health, their hopeful attitudes and their commitment to schooling and their future. 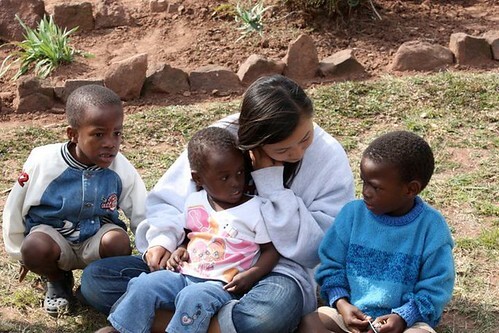 Having the opportunity to see the impact of one’s donations makes Lily Orphanage unique. Every year a team of volunteers from the States returns to partner with Lily and we are all able to see the growth and improvement from our investments and efforts. Our kids are already planning their return trip to S Africa. 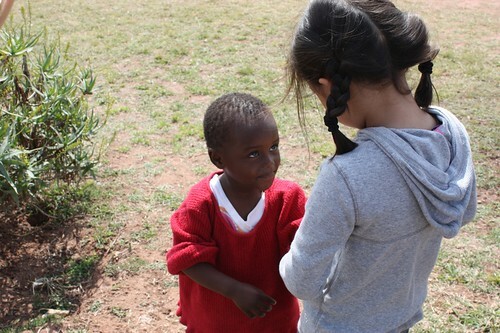 We have all fallen in love with the children at Lily! Having dedicated time to only focus on others freed our days to sit quietly, listen and enjoy one another. 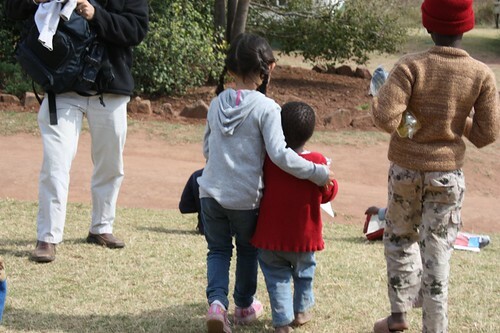 This year, returning to South Africa felt like returning to family. For our entire family we made so many special bonds with all of the kids. Just as when we left in August, we assured the children that we would return soon. One of the most amazing blessings for us this year has been meeting and working alongside extraordinarily generous people. We have continually been inspired by their acts of grace and goodness. Because our daughter, Julia, became ill, we missed taking out the volunteers for a nice dinner. 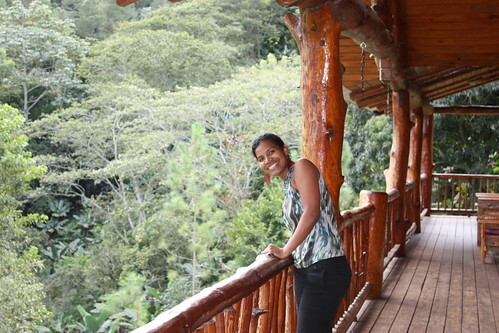 When I offered Julia Veloz, Youth Director of Young Life, the extra funds from the dinner and a donation specifically for her, she immediately announced that with these funds, she would rent the van again and take the disabled teens out for an ice cream excursion. This instinctive response to address other people’s needs and desires before their own has been a recurring theme of the leaders we have served with this year. 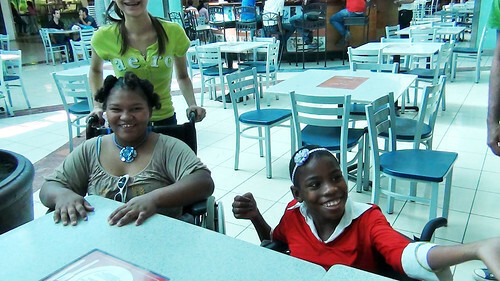 Spending the day with severely disabled children in the Dominican Republic was one of the most difficult days for our family. When we arrived at the facility that cares for abandoned and severely disabled children, they clung onto us and begged us to take them out. Most of the children were limited in their mobility, and Ken and Stephen linked shoulders with some of the children in order to walk alongside them. The din of moaning and crying throughout our time in the facility was very upsetting. I brought bags of donated nail polishes since we were told the children spend most of their days in their cots. I thought the bright colors on their fingernails would be a happy diversion for them to look at as well as a tangible way for me to demonstrate care and love to them as we sat together, holding hands and applying the polish. Julia and I carefully untwisted their curled fingers and asked questions though we received no responses due to their inability to communicate. We tried to be cheerful and show affection as we gave them manicures and pedicures. I have to believe that we were able to demonstrate care in our simple act of making contact and spending time with them. 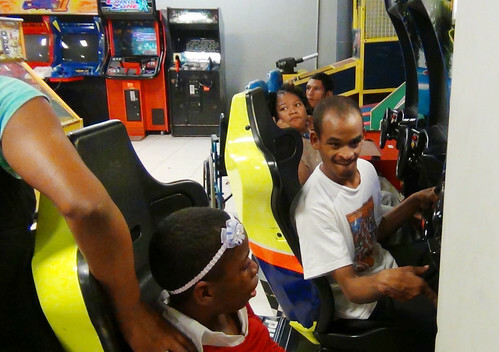 Our team (5 others along with our family) rented a van and we took 4 of these teens out for a pizza lunch and arcade excursion. Ken and Stephen were drenched in sweat from struggling to get them in and out of wheelchairs and the van. These teens were so excited that they got dressed up for the excursion. Our only experience with special needs children are those who have loving families, completely devoted to providing them every opportunity for a fulfilled life. These children, however, are without a family and therefore fully dependent on others. I considered the spectrum of how we value others by superficial qualities and accomplishments and recognized that their life would be incredibly difficult because they are alone. By the end of the day spent getting to know them, I realized what they were able to affect in me: patience, appreciation for their efforts and joy in every one of their accomplishments. Our family felt unprepared for the task of painting this home. This year, we made ourselves open and available to the needs of the organizations we visit. 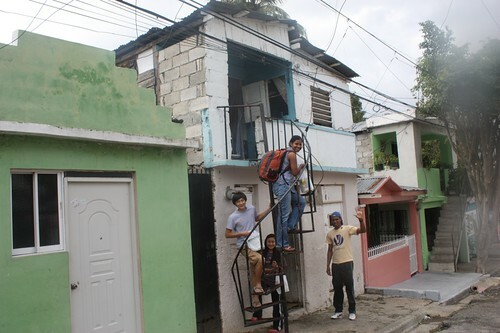 As a result, our family is not always aware of what is expected of us day to day on our volunteer trips. One of the lessons of this year has been that we all rally together as a family for whatever task or circumstance presents itself, and we've been able to handle everything with good cheer. 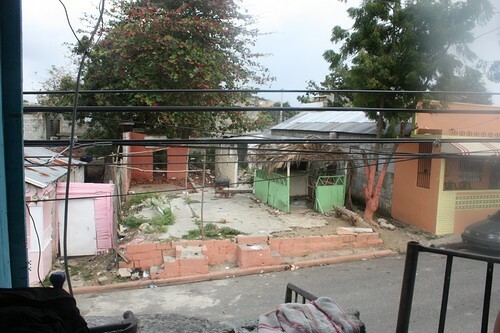 The irony didn't escape me that while we were here in the Dominican Republic painting this home, we had workmen painting rooms in our home in the US. In one afternoon, we surprisingly made quite an impact- not only in the decor but in the spirit of giving (paint supplies and our time and effort). The family was so moved by our small gesture. 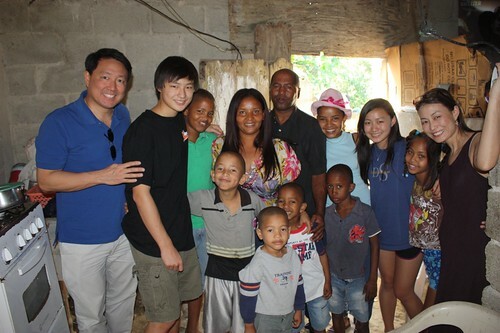 Our family was asked to visit a number of local public schools in the Santiago district. 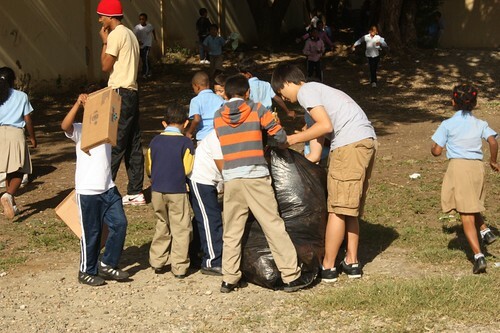 We brought donations, played with the kids and helped to clean their school yard. We made a game of collecting trash. It was remarkable how much garbage litters the streets and playgrounds.